The fact that our indicted attorney general stands a chance of being reelected is embarrassing enough for Texas. Don’t add insult to injury by actually voting for him. Need more convincing? Here's a list of reasons not to vote for Paxton, inspired by our former blogs highlighting his disgraceful record as Texas attorney general. 1. For an attorney general, Paxton doesn’t seem to have much regard for laws and ethics. At this point, the name Ken Paxton might as well be synonymous with indicted. 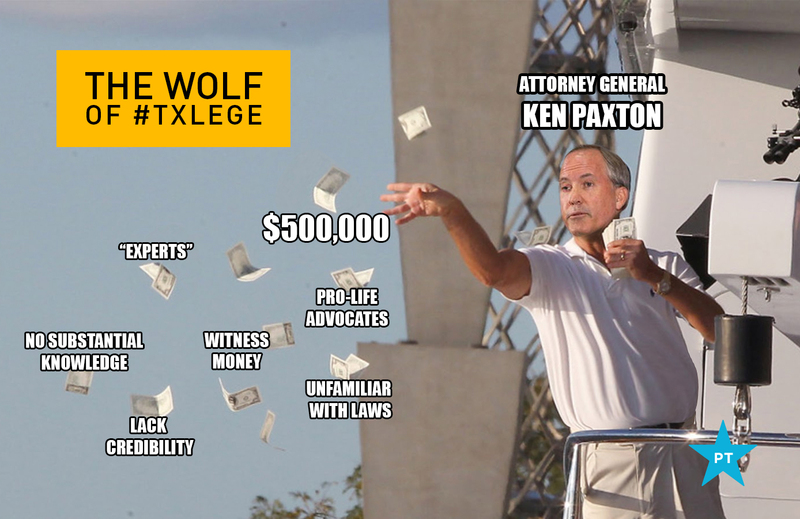 In addition to his shady dealings, Paxton has reprehensible stances on almost all of the key issues. 2. Paxton does not think LGBTQIA+ people deserve basic rights. 3. Paxton wants to shame women and take away their reproductive freedoms. 4. Paxton sued the federal government to end DAPA and DACA. 5. Paxton wants to defund the ACA and strip away protections for pre-existing conditions. Don’t vote for Ken. Don’t embarrass Texas.